There are 6 points where power comes from in the Wing Chun Punch. The Ankle, Knee, Hip, Shoulder, Elbow and Wrist. The goal is to unite these joints together because they are the driving force that will generate your power. Power isn’t determined by how hard we hit. The wing chun punch power is determined by how quickly we can accelerate. More often than not people mistake strength for power. The confusion comes because a lot of people think that they have to tense the body to generate power. By tensing the body what you are really doing is putting more energy inside your body and less energy at your opponent. The Goal is to accelerate your movement and at the last moment snap it so that the energy is going into your opponent. The laws of nature state: That for every action there is a opposite and equal re- action. What this means for a wing chun punch is that if you hit while you are tense the energy is going to want to go back into you. Your real power comes from your ability to relax and at the last moment snap. Our hands want to be at a relaxed state. When we make a fist we want to form a fist not squeeze a fist. Many times squeezing the fist tires a person out and takes more energy. To make a good fist what you want to do is take your fingers and fold them down to the center of your palm. Just form it, don’t squeeze it. Your thumb can rest from the first finger to the second finger. Your knuckles should also be aligned. In the video you will see a clearer picture of this. The energy for your wing chun punch doesn’t come from how hard you tense rather it comes from how fast you can snap. Don’t mistake throwing the body for snapping the fist. The way we snap is through sinking our energy into our root (stance). The common mistake is to throw the body while snapping, it is okay to move the whole body it is not okay to throw the body. If you throw your body you are committing to the punch the danger in that is if your opponent should block or parry you. There is a good chance that you will loose your balance. A good wing chun punch is like puncturing a person instead of pushing the person. The emphasis on a vertical punch is on the bottom three knuckles. The proper execution of the punch is to touch the top two knuckles and accelerate the bottom three knuckles. Often times people punch upward with this punch. That is incorrect the correct way to punch is to go forward with your punch not upward. When you practice this you want to place your hands on your centerline. The hands want to come out straight but not locked. Locking your arm could get it hyper extended. So you want to keep a slight bend in your arm. To make the arm powerful we want to keep it linear. Basically you want to have your arm in a straight line. To confirm this straight line you want to line up three points. Those are from your wrist to your elbow and from your elbow to your shoulder. That is a linear arm. 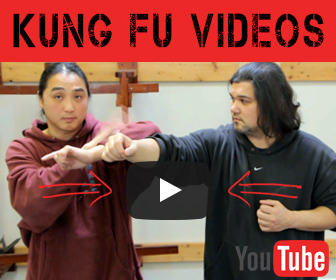 Power in the wing chun punch is generated by the motion of our wrist not the shoulders. I reckon it’s the same with everything in life. To get the most out of anything you have to know how to approach it the correct way. You’ll get the most out of it if you do things properly. Doing it the wrong way may get you there sooner or later but the end result would probably cost you more than if you did it right the first time. Thanks for stopping by Sire, always a pleasure to see ya! Jeepers, I have been trying to get better at commenting back. I have been watching how you handle your blogging and have learned a lot from you thanks. 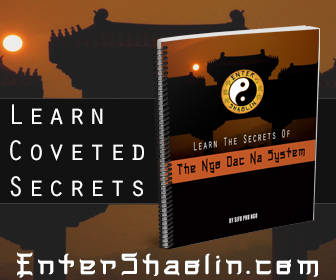 We use a lot of the kung fu strikes in kenpo so I can see the wisdom in it. The vertical punch is actually safer and more powerful than the horizontal punch. Good point about overextension of the joints. I took goju for several years when I was younger, I like the vertical fist more than the horizontal myself. I think that the proper way to punch, in Wing Chun or any other martial art, is very much dependent on the target you have chosen and its current position in relation to your fist. It is also acceptable for WC to use the top two knuckles, in my view. If you know how to punch, the verticle fist is much better. you also don’t cut your opponent as easily for some reason, and the wrist will not bend which i like. and the snap you can put in it will break a watermelon first hit, compared the just the impact of the horizontal. it would be alot better in a self defence situation. I like how it will connect nicely along the face on the cheek bones aswell compared to the other rolling off easily. Hi Rah8, thanks for stopping by and sharing your thoughts.